The easiest group trip you'll ever plan. 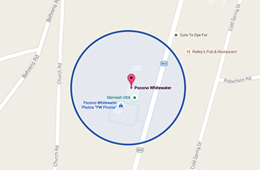 Here at Pocono Whitewater Rafting, we appreciate the time and effort you put into organizing your day of outdoor fun. Whether you are whitewater rafting, biking the Lehigh Gorge Rail-Trail, or playing Skirmish Paintball, we will ensure your adventure planning is fast, fun, and easy. 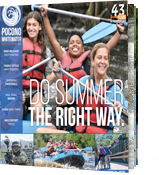 Only with Pocono Whitewater will you find an extensive group leader benefit program, customized trips, catered parties, and 40 years experience! Scroll through the information below or give Debbie Y, our group sales coordinator, a call at 570.325.3654 extension 114 to start planning your group trip.